Cora is a drummer from Houston, Texas. Her stage name C.C. Dunham is short for Cora Coleman-Dunham. Cora relocated to Los Angeles and met guitarist Phil Upchurch, whom she played with for the first year of her stay in Los Angeles. 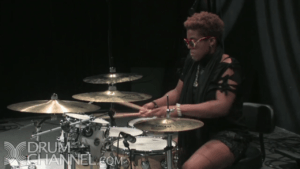 She won Guitar Center's 2003 Annual National Drum-Off competition and worked with the all-female group Angaza, where she played with later Prince protégée Támar, amongst others. She toured with Zac Harmon & the Midsouth Blues Revue. After that she joined Frank McComb's band.